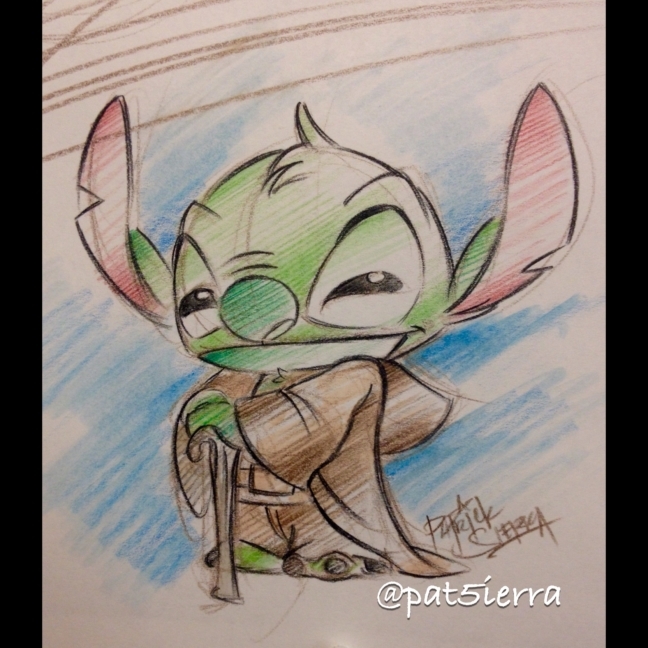 A twist on one of Disney’s iconic characters. 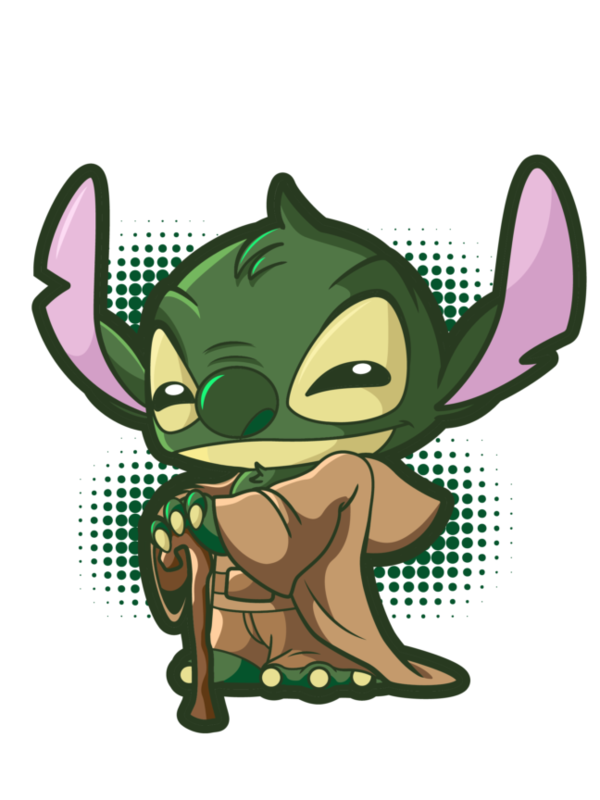 Stitch from “Lilo & Stitch” as Master Yoda from Star Wars. The Initial sketch was hand drawn, then completed image was vectored and colored using Adobe Illustrator.